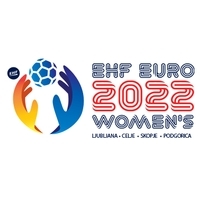 The EHF Congress 2018 has awarded the Women’s EHF EURO 2022 to Slovenia, FYR Macedonia and Montenegro. The event will be played across the three nations in December 2022. The 2016 European Green Capital, Ljubljana (SLO), will see matches at the 12,480-capacity Arena Stozice, while the 2,000-year old Macedonian capital Skopje will host games in its 6,173-capacity Boris Trakovski Arena. Slovenia’s second venue is the home of VELUX EHF Champions League team RK Celje Pivovarna Lasko, the 5,800-capacity Arena Zlatorog in Celje. The final venue is the famous Moraca Hall in Podgorica (MNE). Home of the all-conquering Women’s EHF Champions League side Buducnost for many year, it was renovated in 2005 and has a capacity of 5,000. For a complete profile of the event visit the EHF EURO Beyond 2020 website and also the event profile on eurohandball.com.